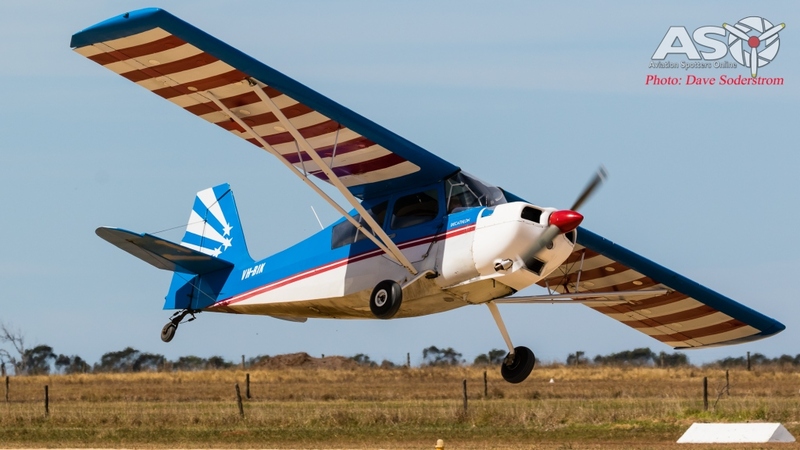 The Yarram Aero Club wanted to celebrate an important part of the districts history during World War One. What was the occasion? 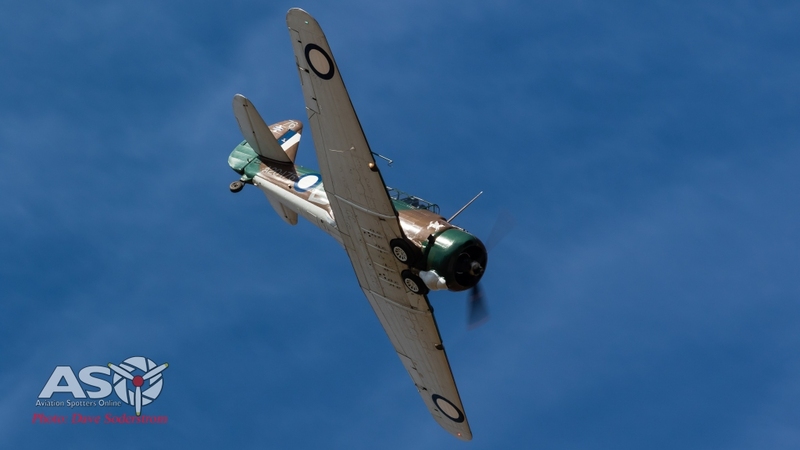 It was 100 years since the first operational military flight in Australia. These flights were conducted from Yarram in a FE2B aircraft out into Bass Strait looking for the German raiding ship the Wolf. This operation was flown by Capt Frank McNamara VC. from the Australian Flying Corp. The German raider SMS Wolf menaced our shorelines and led to aerial patrols from Yarram. 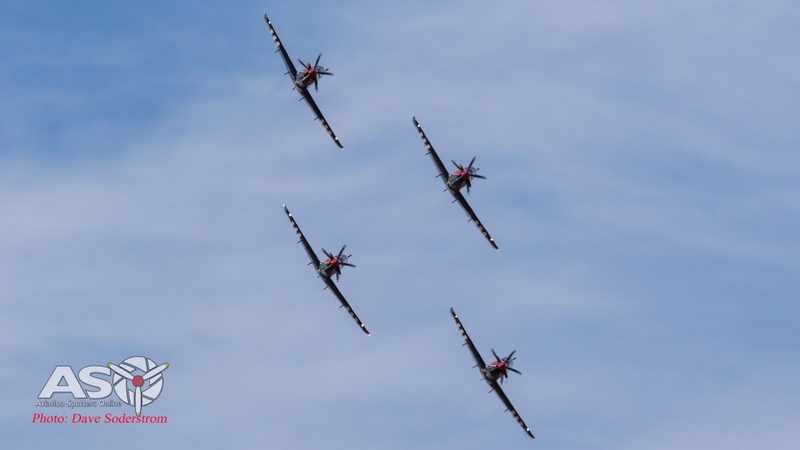 The flying displays were again coordinated by the man behind many airshows around Australia. Paul Bennet and his amazing crew. 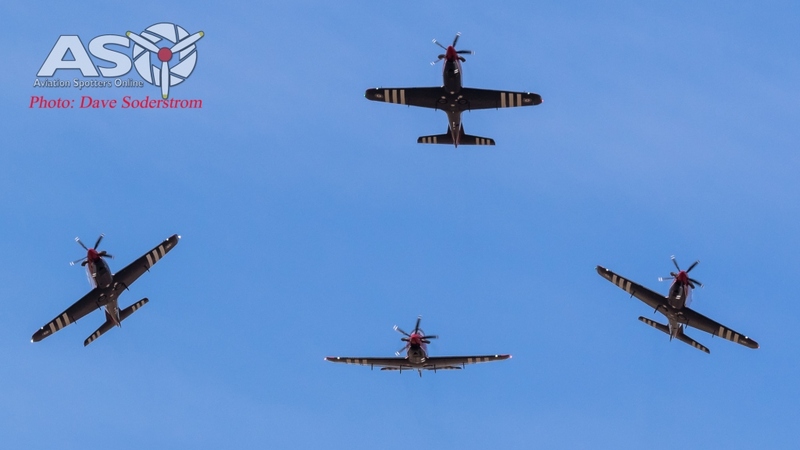 Aviation Spotters Online brings you the Video and Photography overview of the days events. Opening the show was of course the man himself Paul Bennet with a staggering display. 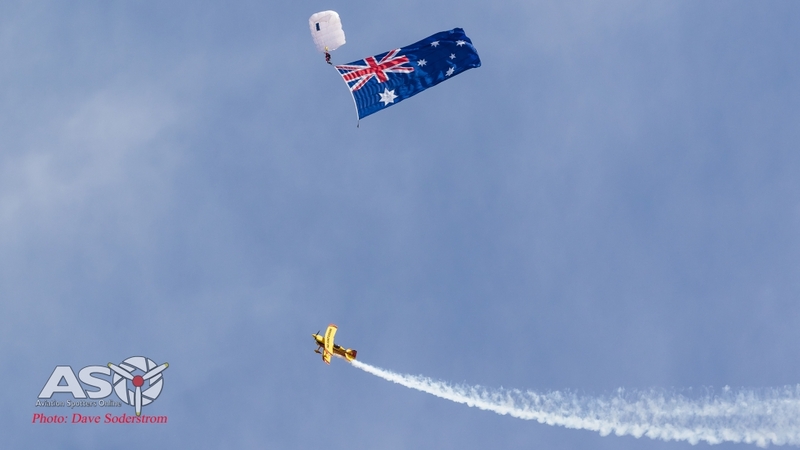 Following the parachutists down, one flying a huge Australian flag as the National anthem was played. 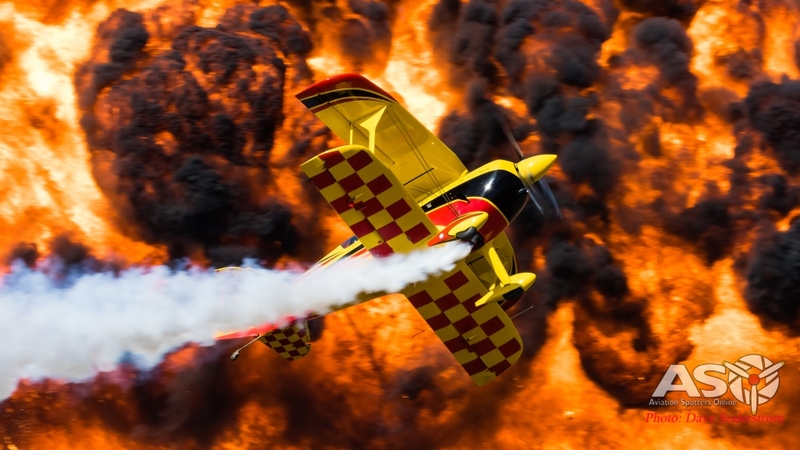 Paul has been performing at airshows since 2005, and has won numerous aerobatic competitions during that time. 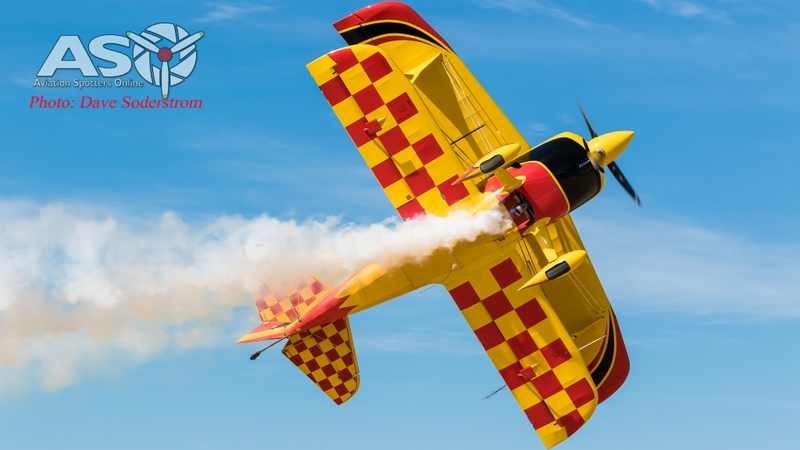 In 2008 he was crowned the Australian Advanced Aerobatic Champion. 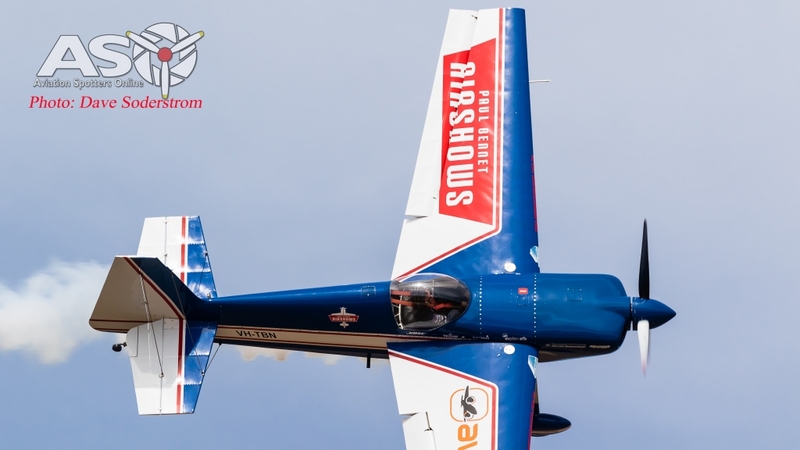 In 2009 Paul was crowned the Australian Unlimited Aerobatic Champion, receiving the Phillips Cup. In 2011 and 2012 Paul won Unlimited in both the Queensland and Victorian State Championships. 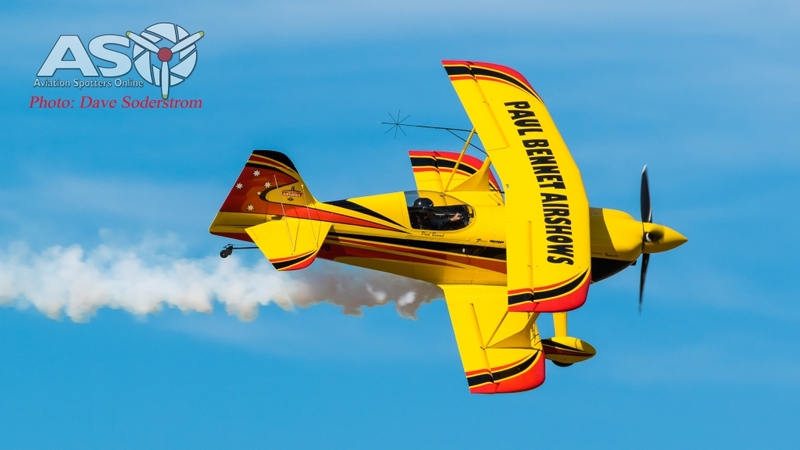 Paul has flown over 700 performances at over 300 displays, in front of several million fans. 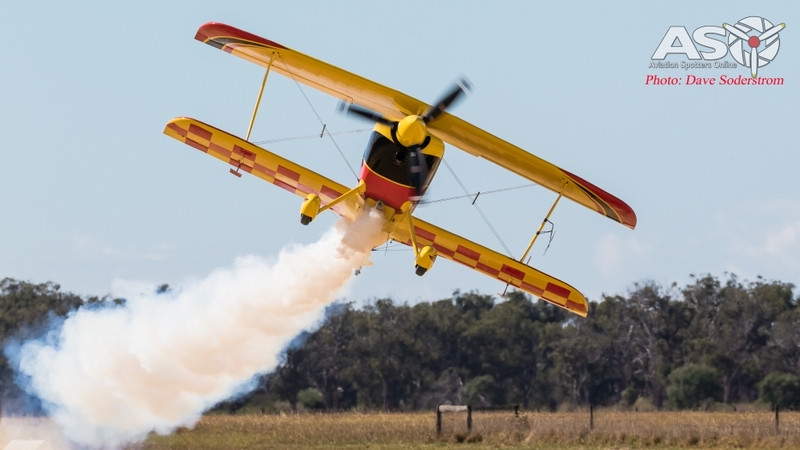 He is one of only a handful of Australian Pilots to hold a ground level aerobatics approval. 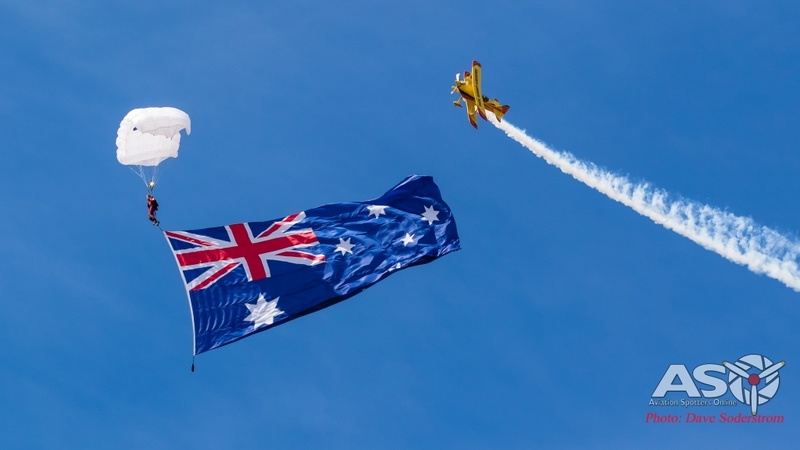 Opening the show was of course the man himself Paul Bennet with a staggering display, following the parachutists down, one flying a huge Australian flag, as the National anthem was played. 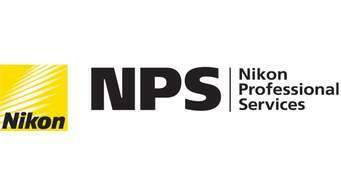 A familiar type noted across the world, and a type which many many pilots have earned their wings. 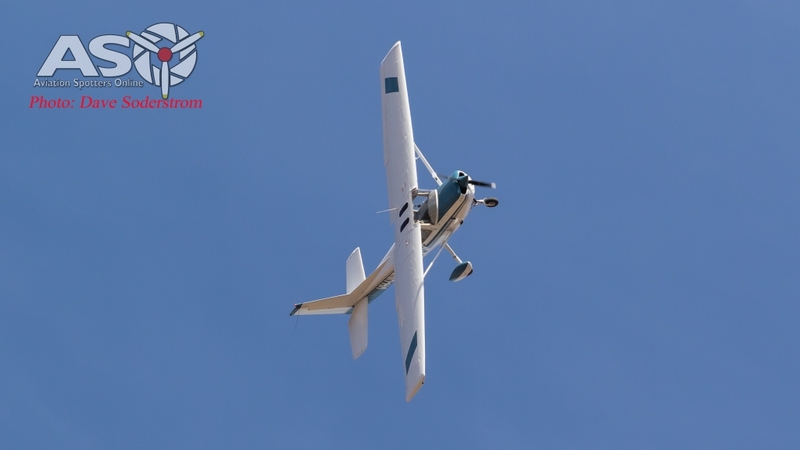 Gerrard Lappin put the Cessna 152 through its paces preforming some great manoeuvres. VH-WWY ex Royal Australian Air Force CA-3 A20-81. Not quite as is seems, painted as A20-176. 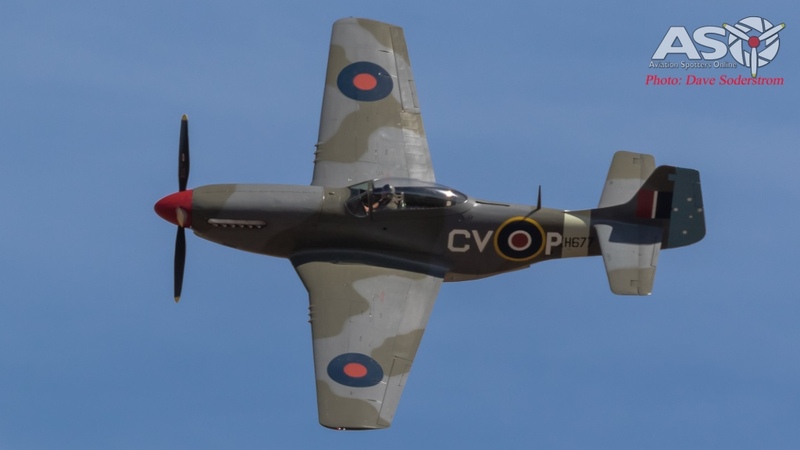 This aircraft is owned by Paul Bennet. 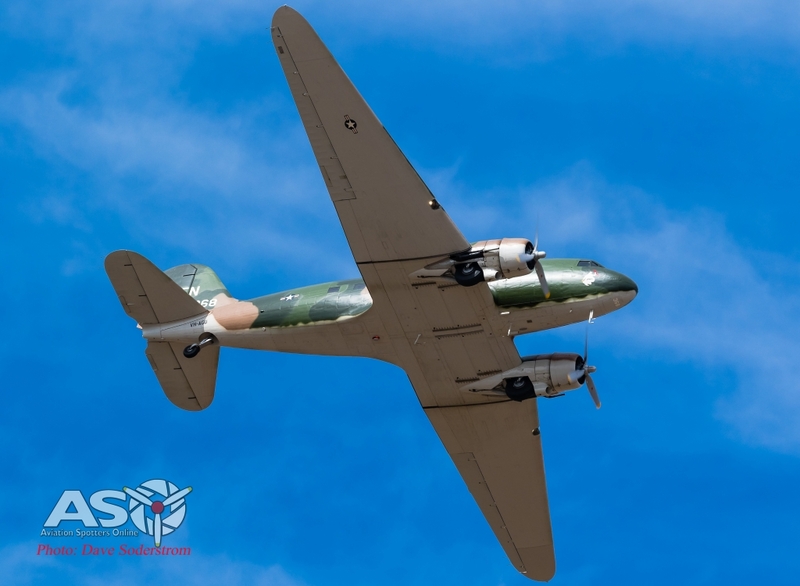 Ben Lappin gave the aircraft a spirited performance, which allowed for some great views of the aircraft. 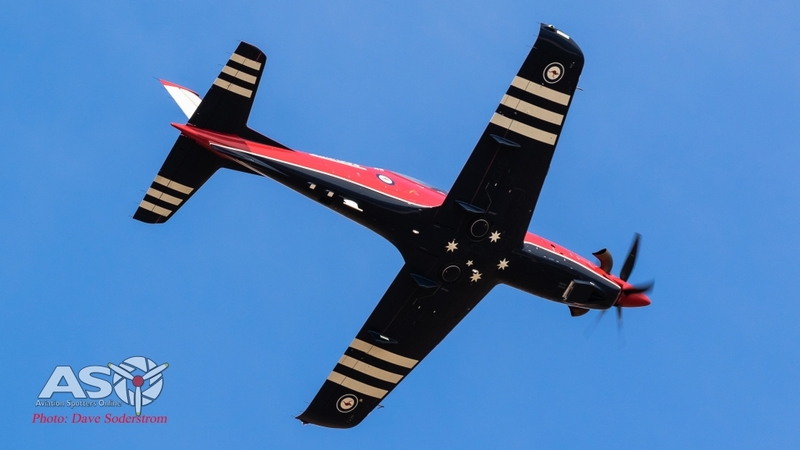 Royal Australian Air Force Pilatus PC-21 First public aerial display. 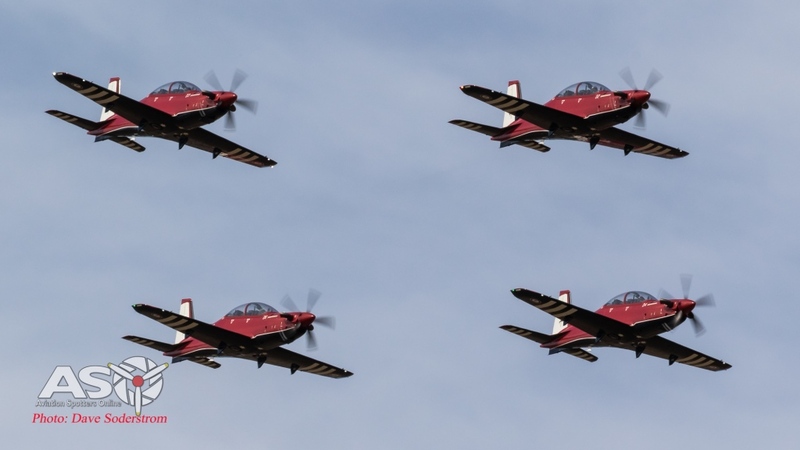 The Air Force has ordered 49 Pilatus PC-21 aircraft to serve with the No.1 Flying School (1FTS) at East Sale, the Central Flying School’s Roulette’s display team. 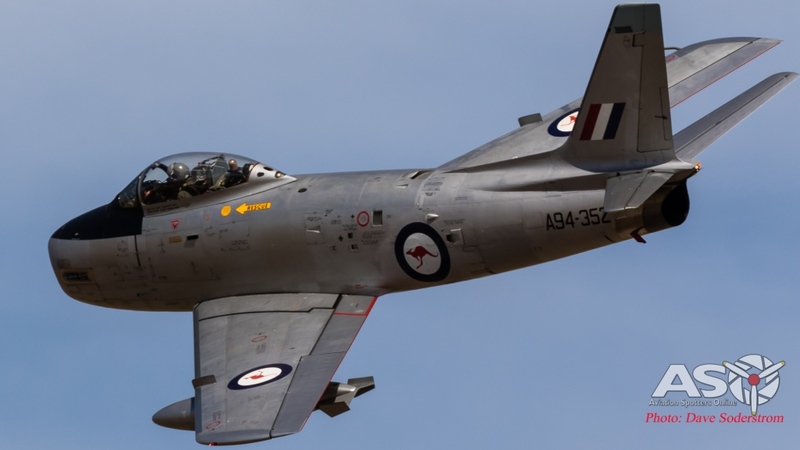 Four will be modified for No.4 Squadron to operate in the Forward Air Control role at Williamtown, two for the Aircraft Research and Development Unit (ARDU) at RAAF Edinburgh South Australia. 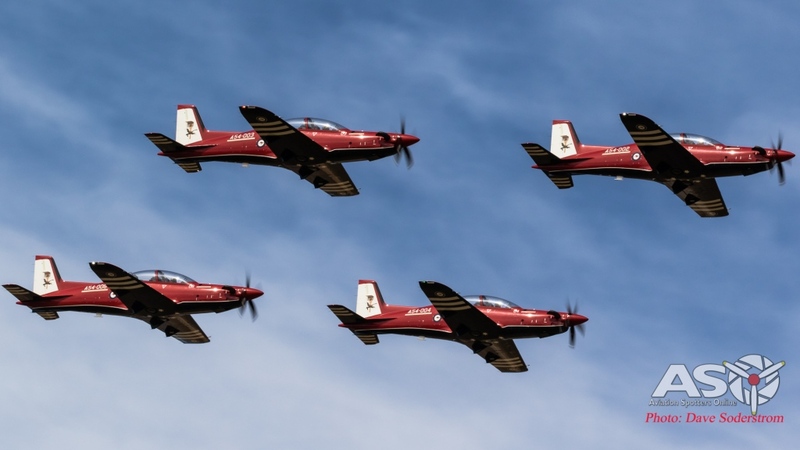 The remaining airframes will be allocated to the No.2 Flying Training School (2FTS) at RAAF Pearce in Western Australia. 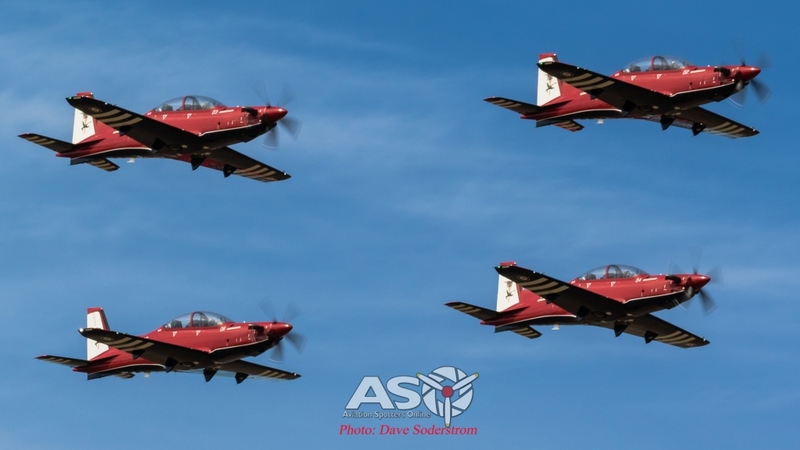 To date 12 PC-21s are in the country, and this display formation was the first public display of the PC-21 in Australia. 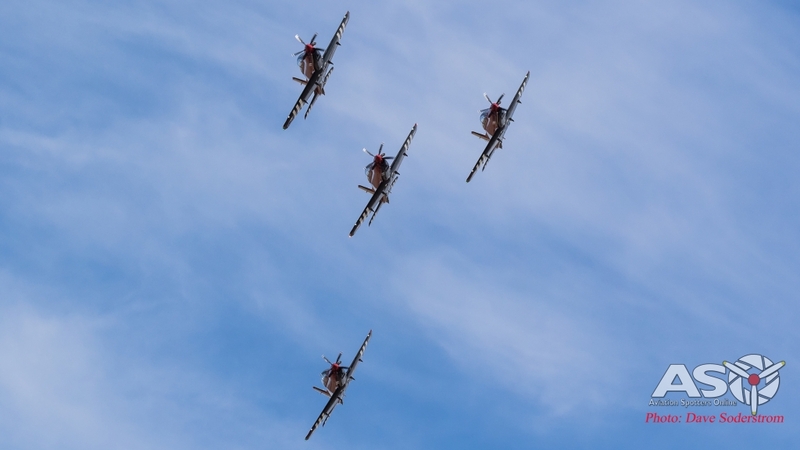 What was of note during the display is the unique sound from the aircraft. 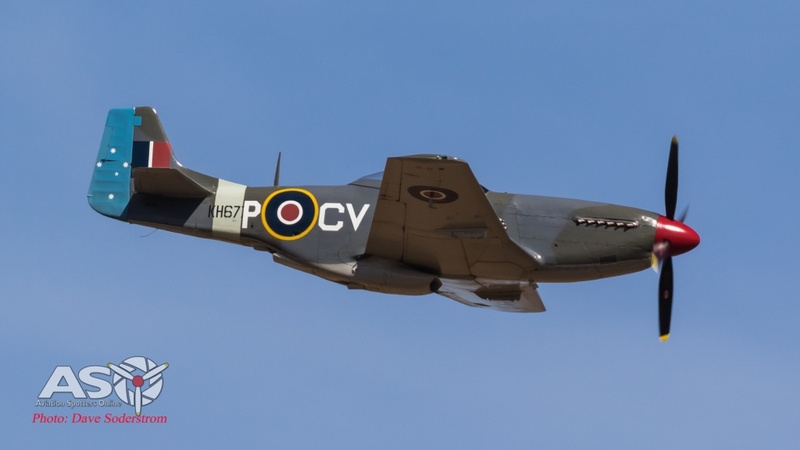 The airshow was very fortunate to have the support of a semi local identity. ex former Royal Australian Air Force Squadron Leader and Trans Australia Airlines pilot Jeff Trappett. Jeff brought this aircraft and showcased his Sabre later in the day. 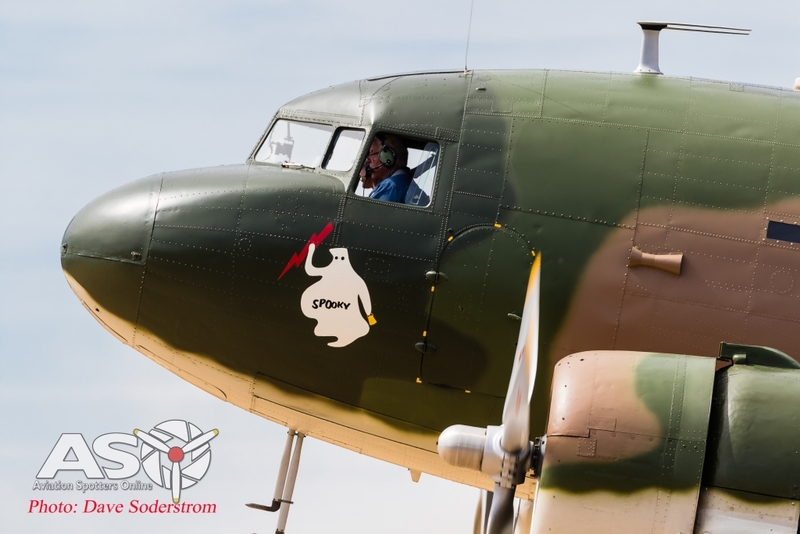 This aircraft has some interesting history to it. Delivered to the United States Army Air Force as 44-76336 on February 12, 1945. 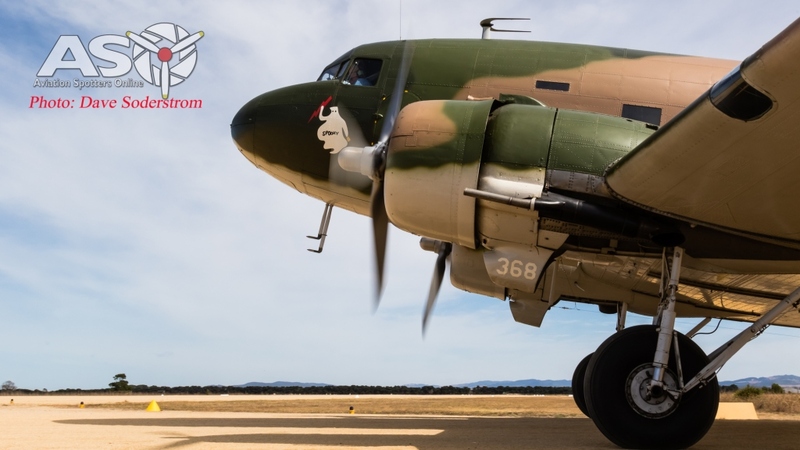 It was immediately transferred to the Royal AustralianAir Force until transfer to No 1 Squadron and based in Malaya – October 24, 1953. It was modified for the Psychological Warfare role where loudspeakers were attached and broadcasted messages to enemy troops. 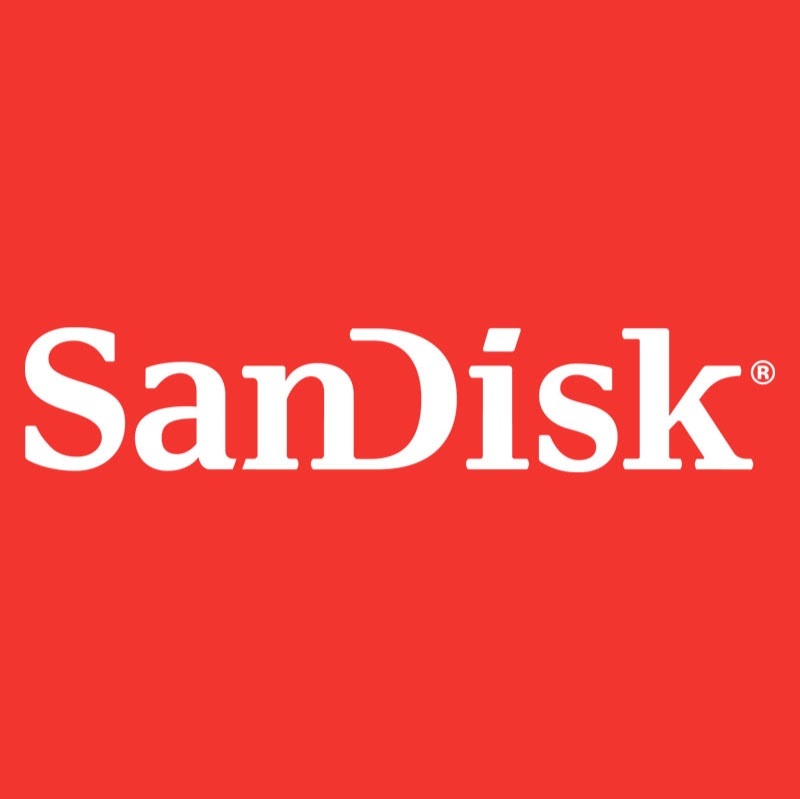 After four more years in uniform it was sold off on August 13, 1958. Sold to Adastra Airways Pty Ltd as VH-AGU, it continued to fly with the airline until sold again, this time to East West Airlines. 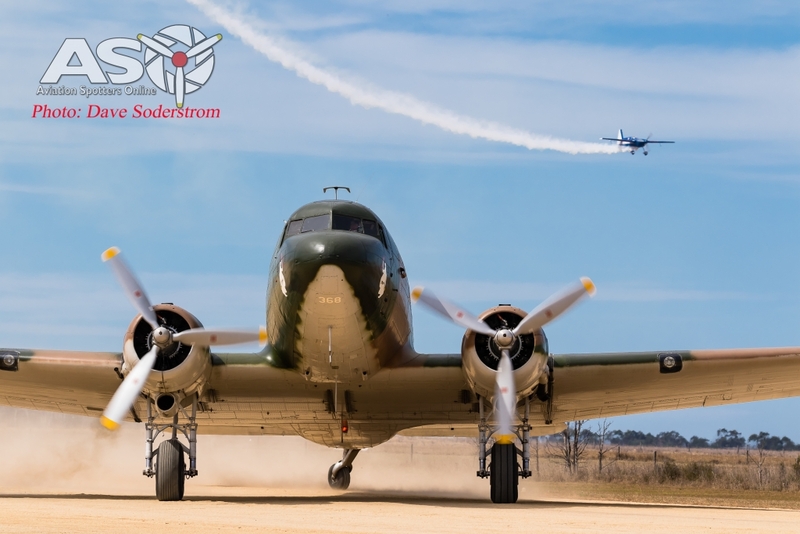 The airframe was modified to accomodate a radar and was fitted out with Interscan Instrument Landing System – for performance testing. Again it was sold on, in 1979 and went through a host of owners until finally being purchased in 1993 by it’s current owner, Jeff Trappet. 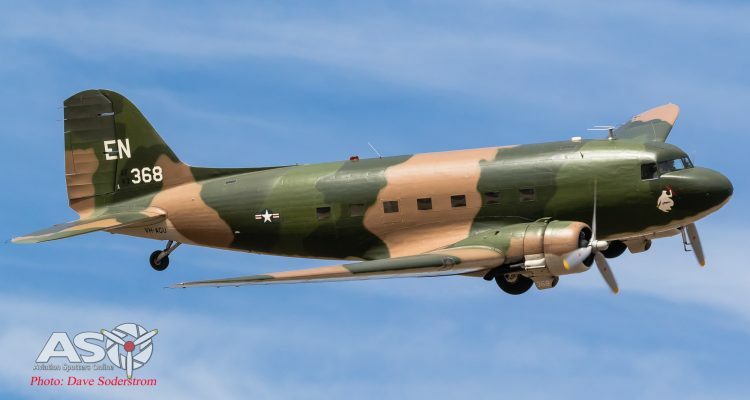 Jeff has spent a lot of time overhauling the airframe and repainting it in the USAF “Spooky” AC-47 Gunship colour scheme. 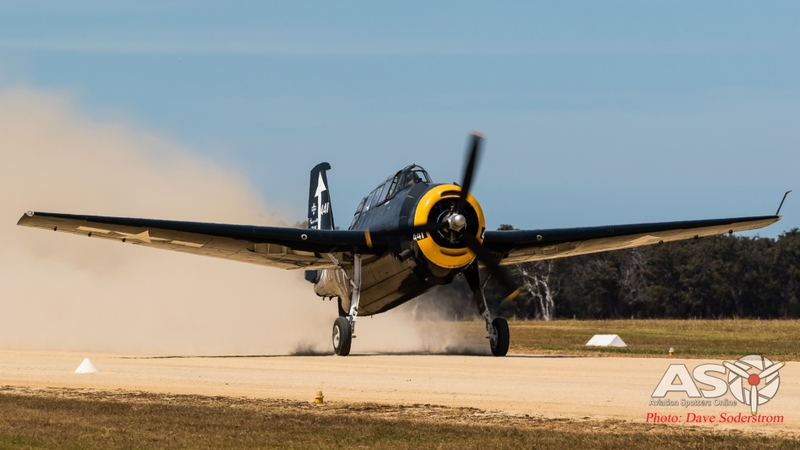 Flown by Jeff Trappet and Gerard Lappin, the glorious noise of P&W R-1830’s in stereo, are always a welcome sound at airshows. 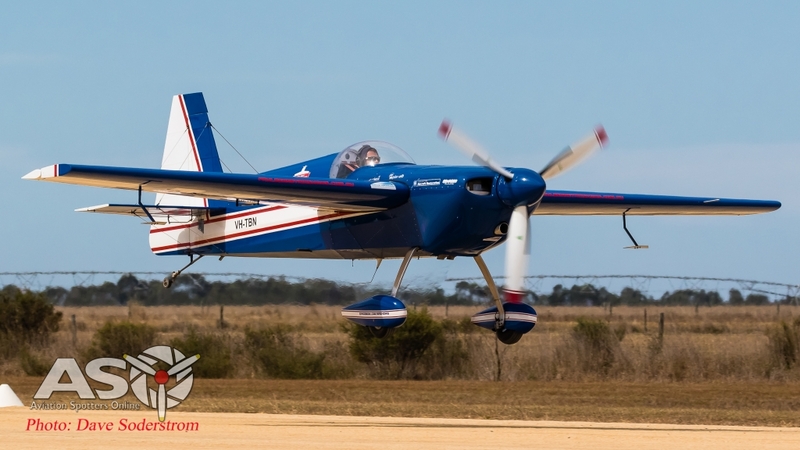 The Rebel 300 is a Unlimited aerobatic monoplane powered by a 300hp Lycoming engine. 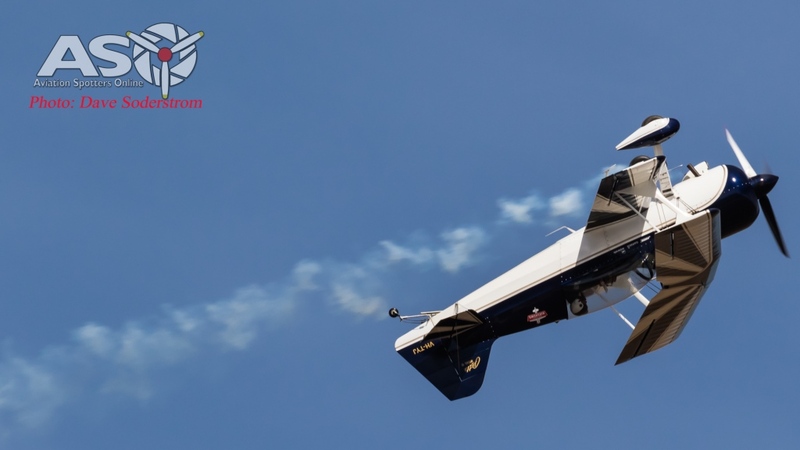 It was originally designed by Zivko Aeronautics who later redesigned the aircraft to become the Edge 540 which is now synonymous to the Red Bull Air Race series. Different to the Edge the Rebel is lighter in design and utilises a slightly longer wooden wing which helps with energy retention and cornering ability. 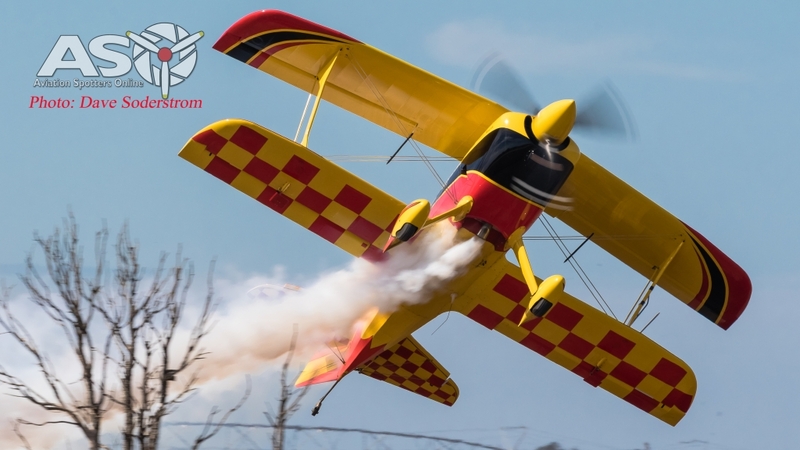 Glenn Graham did high energy display with the aircraft. 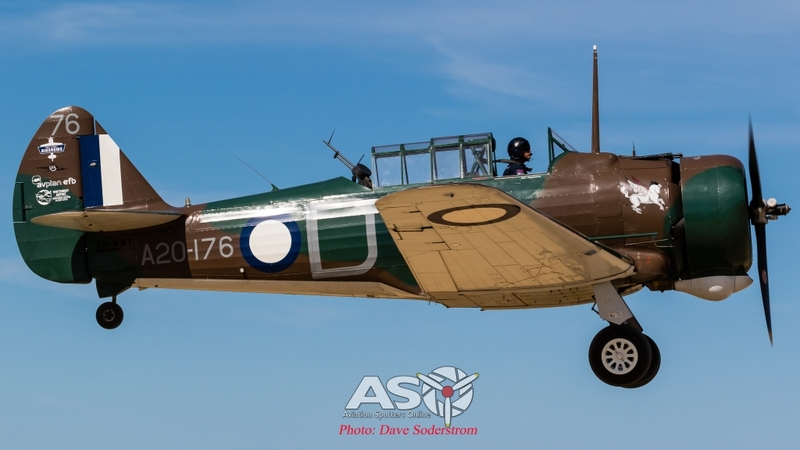 Alan Adams, flew DH.82 Tigermoth VH-SSI which is an ex RAAF example, A17-637. 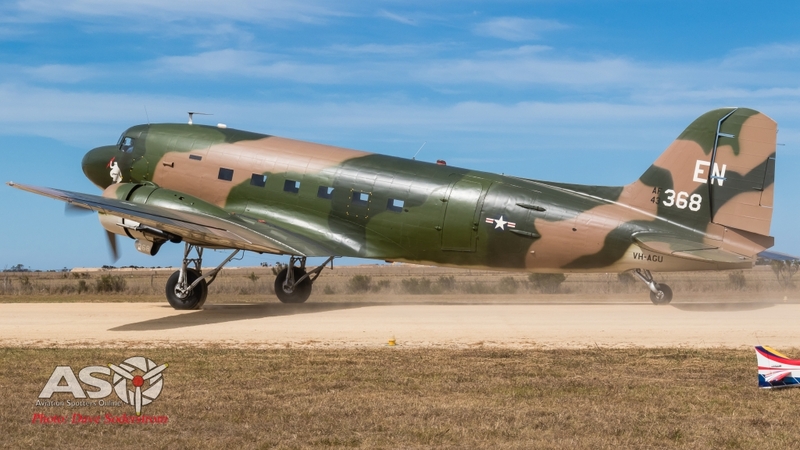 This particular aircraft was originally built to serve in the South African Air Force as DX835. 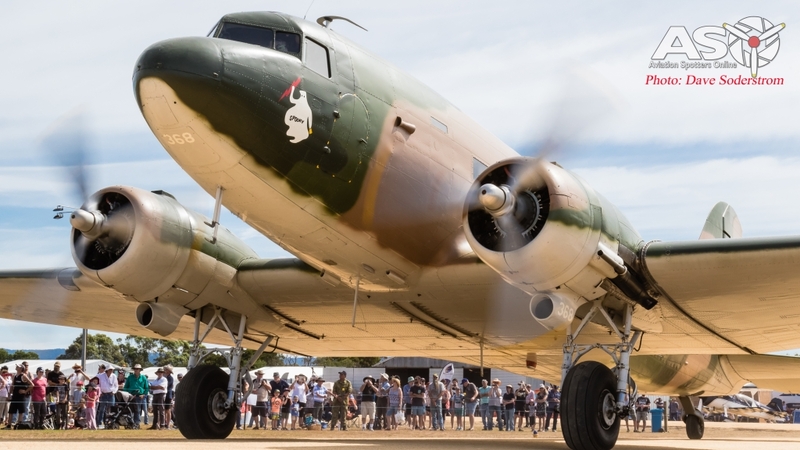 It never left the country and served with the RAAF. 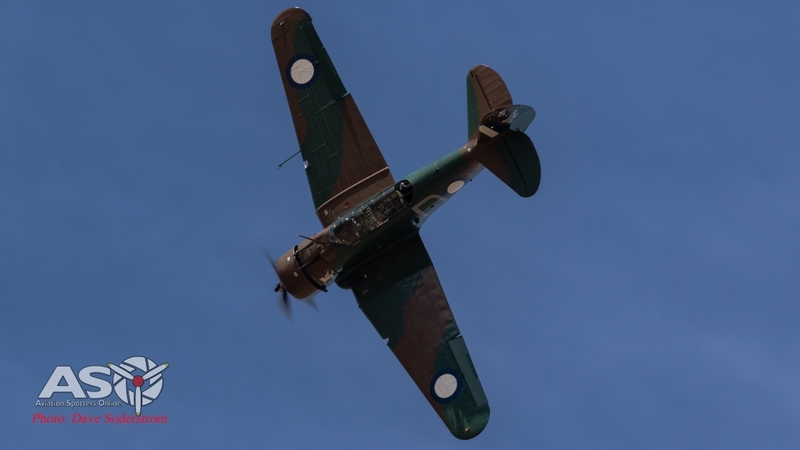 The DH 82A, was selected as the basic trainer for the Empire Air Training Scheme and the first RAAF aircraft, A17-1, was delivered in May 1940. 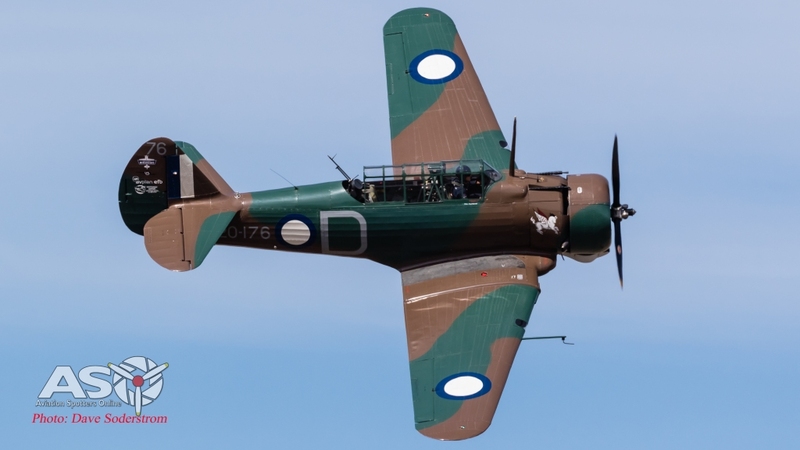 In Australia, the local de Havilland Company built 1,085 Tiger Moths of which 732 were delivered to the RAAF and the remainder were shipped overseas to other training schools. 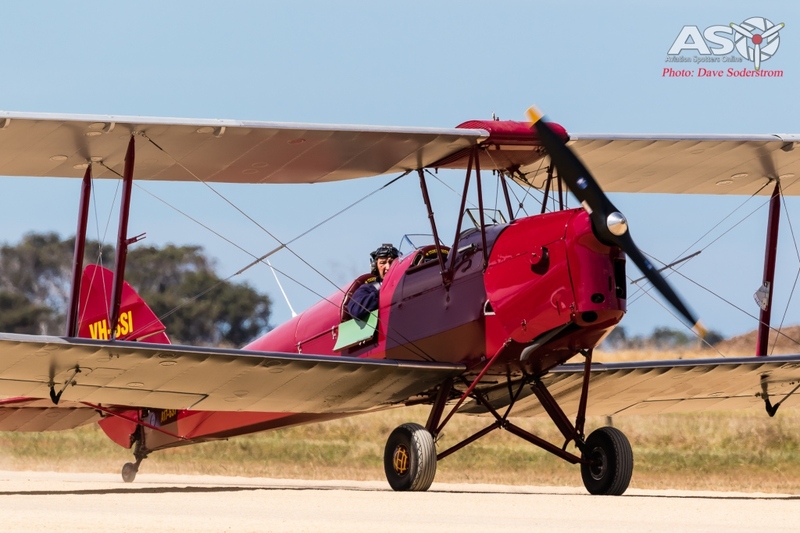 As well as acquiring a number of RAF-serialled Tiger Moths, the RAAF also impressed 21 civilian versions including some of the original DH 82 Tiger Moths with Gipsy III engines. 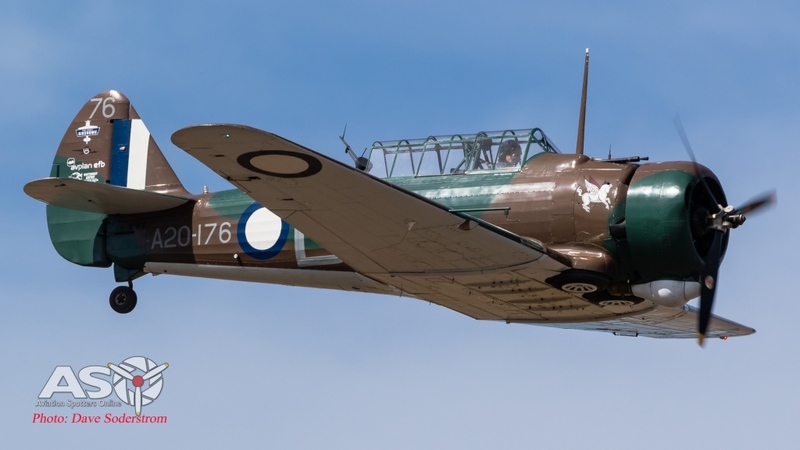 Altogether 861 Tiger Moths appeared on the RAAF register. Although primarily employed as trainers, a few Tiger Moths were camouflaged and used operationally with army co-operation units in New Guinea. 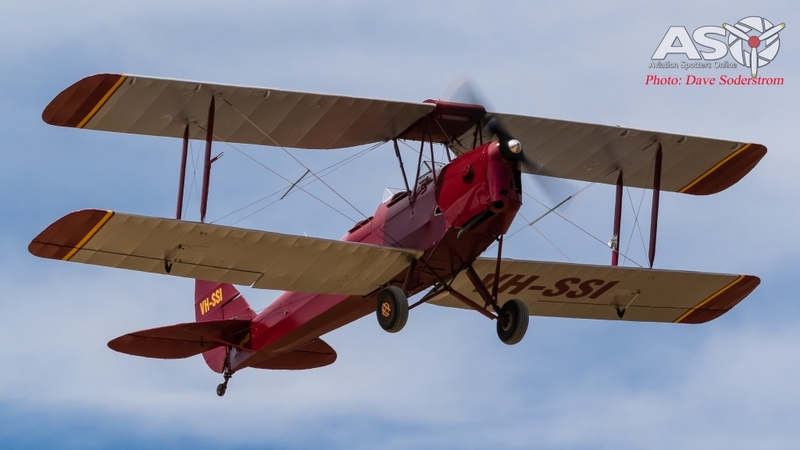 The Tiger Moth remained in RAAF service for almost 17 years, and several Tiger Moths were also transferred to the RAN after World War II. 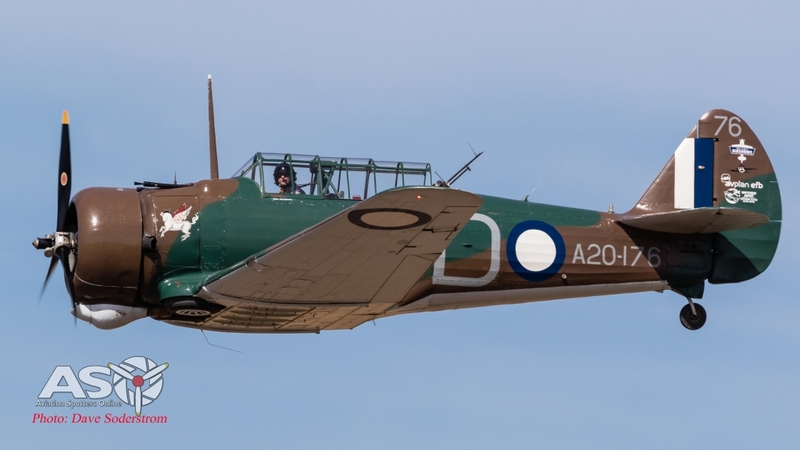 Eventually, on 9 January 1957, the last ten RAAF Tiger Moths were flown from Point Cook to Tocumwal for disposal. 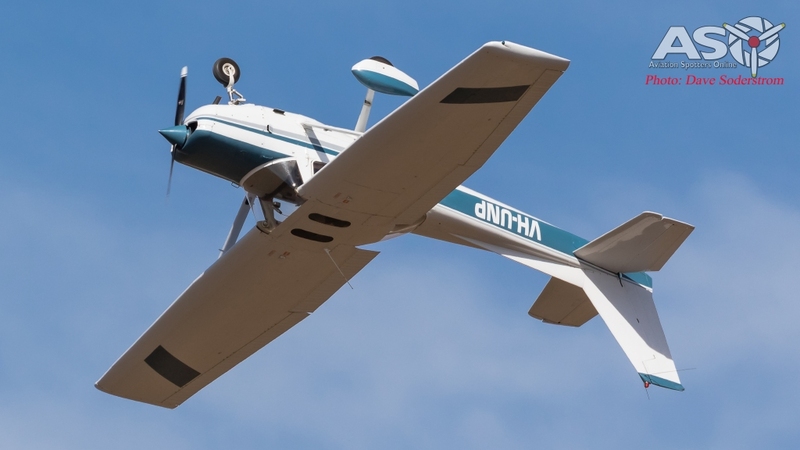 The Super Decathlon was designed principally as an aerobatics competition aircraft. 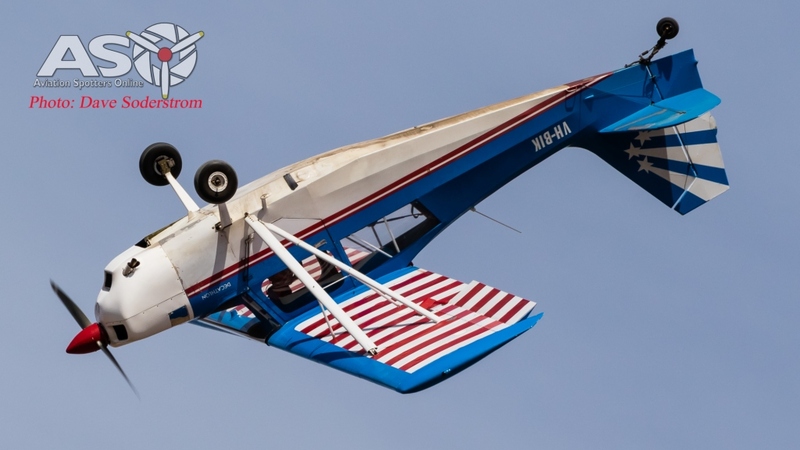 However, these days with the development of more powerful and advanced aerodynamic designs in the same class, the Super Decathlon is used predominantly for aerobatics as well as tail wheel endorsement training. 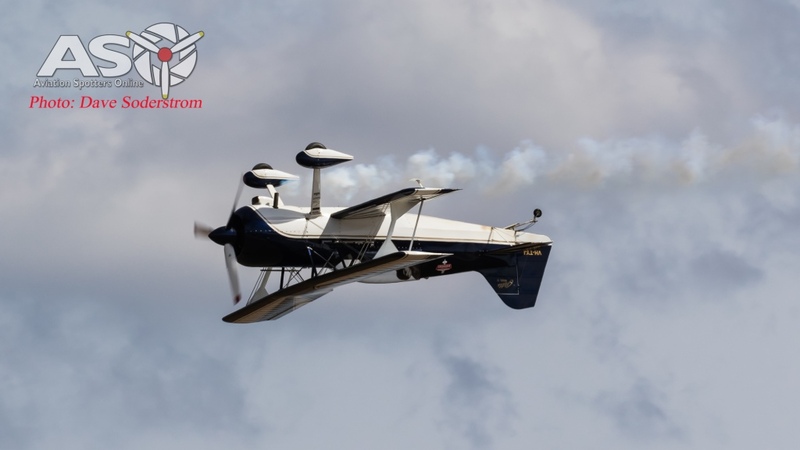 The original design consisted of a welded chrome-molybdenum steel tube structure covered with fabric with the wings being made of aluminium ribs attached to two wooden spars also covered with fabric. American Champion Aircraft saw there was a requirement for an aircraft that was simple, less costly to build, economical to operate, reliable and easy to fly in today’s General Aviation scene that wasn’t being filled by the current manufacturers and began manufacturing new aircraft in 1990. 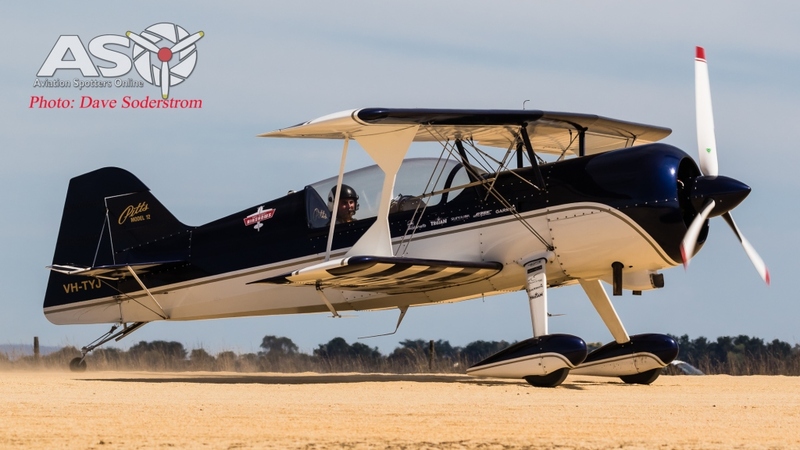 The latest incarnation of the Model 8KCAB from American Champion Aircraft, the ‘Super Decathlon’, was born. 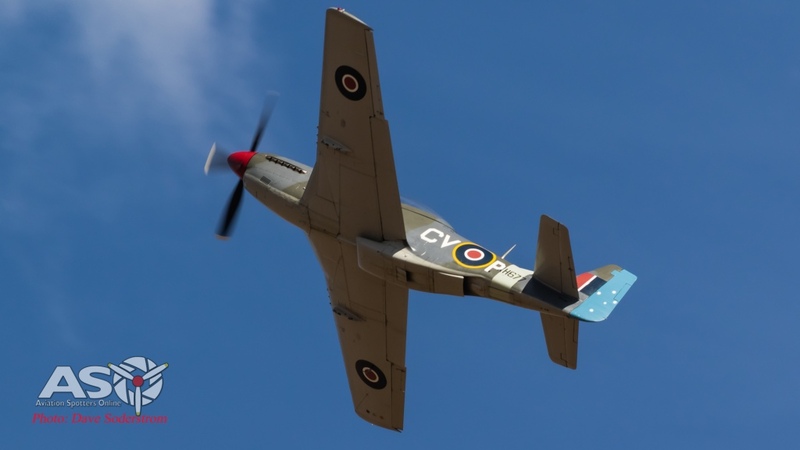 All aircraft are effectively individually hand-built in their factory in Rochester. 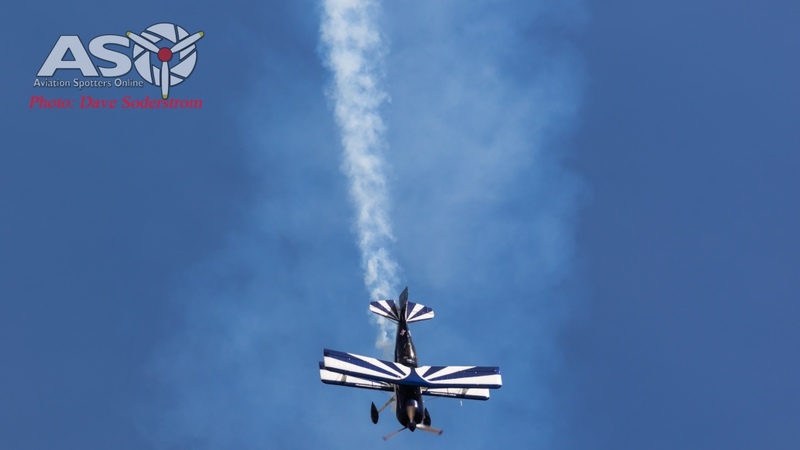 Ben Lappin certainly entertained the crowd with the low flying and skills in this performance. VH-MML Launches for its display. 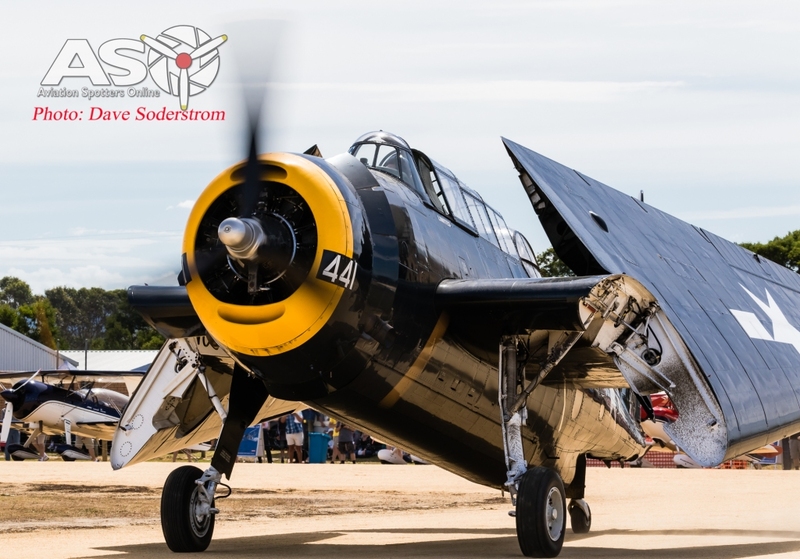 It is an ex United States Navy Bu 53857 TBM-3E Avenger. 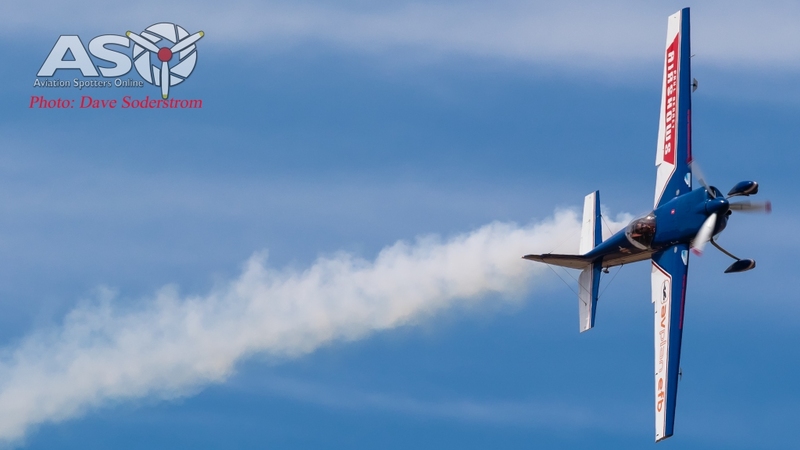 Part of the Paul Bennet Airshows stable, the aircraft is certainly one of the loudest radial performers on the airshow circuit. 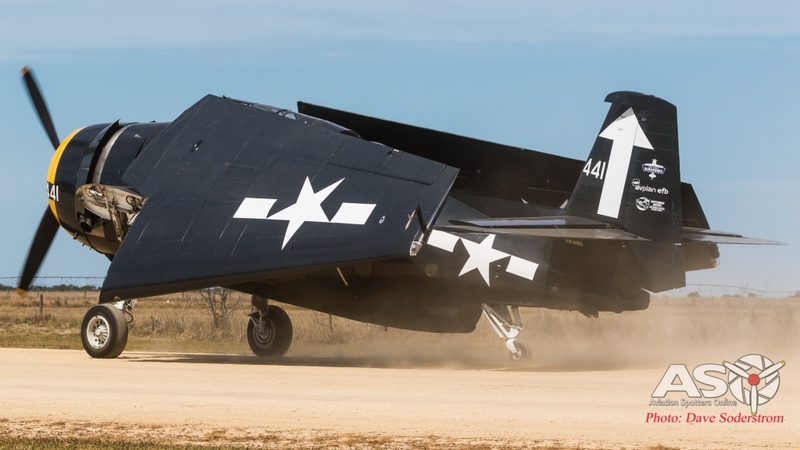 Currently painted in markings of VT.8 that flew from USS Bunker Hill part of CVG-8 (Carrier Air Group 8) commencing March 1944. On March 30 and the April 1 1944, VT-8 was involved in operations against the Japanese held islands of Palau, Yap, Ulithi and Woleai in the Caroline Islands. One month later VT-8 attacked the Japanese island fortress of Truk then Santawan, Ponape and the airfield complex at Hollandia in New Guinea before its participation in the Marianas Campaign between June 12 and August 10 1944. The Marianas Campaign also included the Battle of the Phillipine Sea and the Battle of Leyete Gulf. Between June 19-20 1944 VT-8 participated in the Battle of the Phillipine Sea, the largest Carrier to Carrier battle in history. Bunker Hill formed part of Task Group 58.2 consisting of Bunker Hill, Wasp, Cabot and Monterey and part of the larger Task Force 58. This battle was a crushing victory for the US forces that all but destroyed the Japanese carrier fleet. From October 23–26 1944 Bunker Hill participated in the Battle of Leyte Gulf, possibly the largest battle in the history of naval warfare. VT8 attacked targets on Okinawa and Formosa in November 1944 before Bunker Hill withdrew for overhaul. 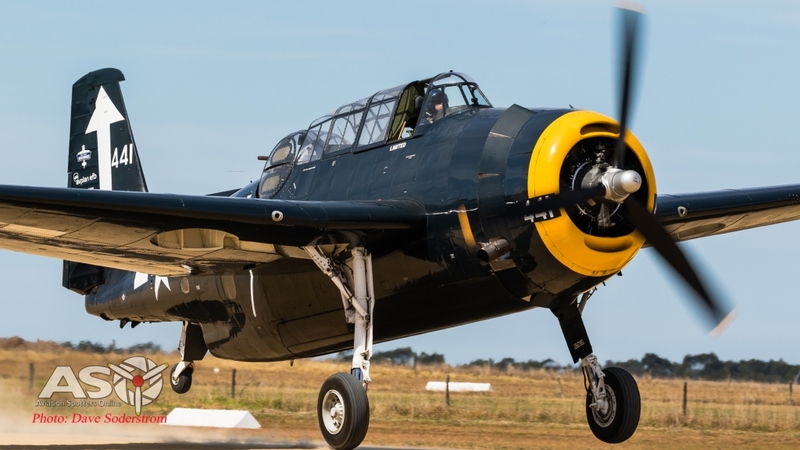 The Grumman Avenger was the heaviest single engine aircraft of WWII and was first shown to the public at the factory on the afternoon of 7 December 1941 – Pearl Harbour Day. 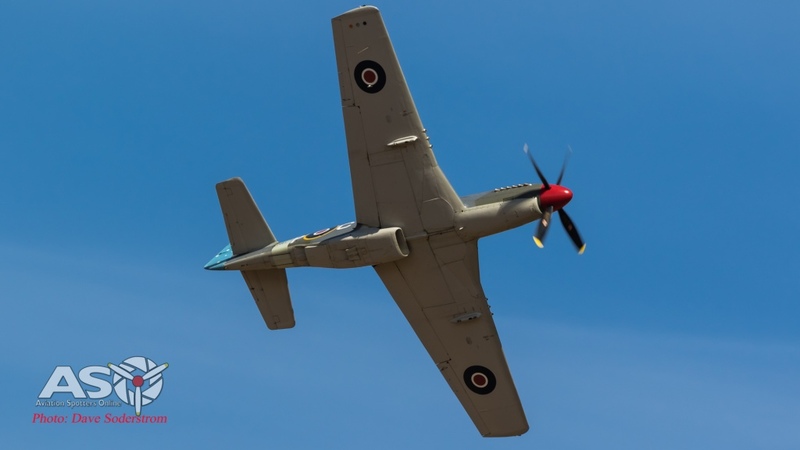 The Avenger last military use was by the Japan Maritime Self Defence Force between 1950 – 1960. 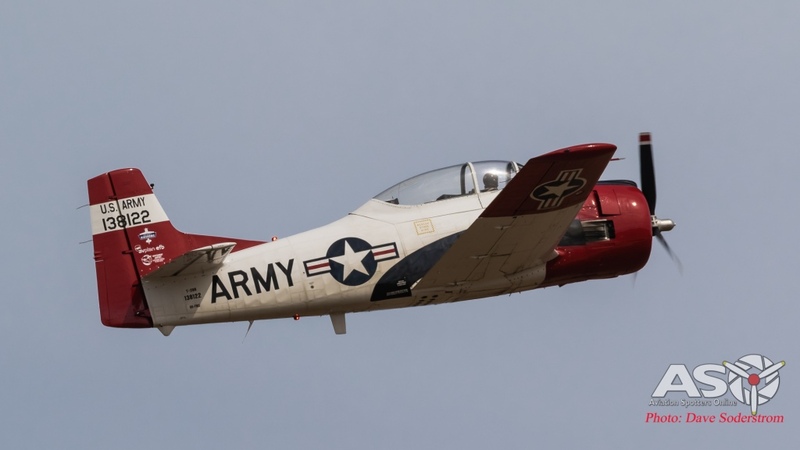 Another aircraft from the Paul Bennet Airshows fleet is the T-28 Trojan. 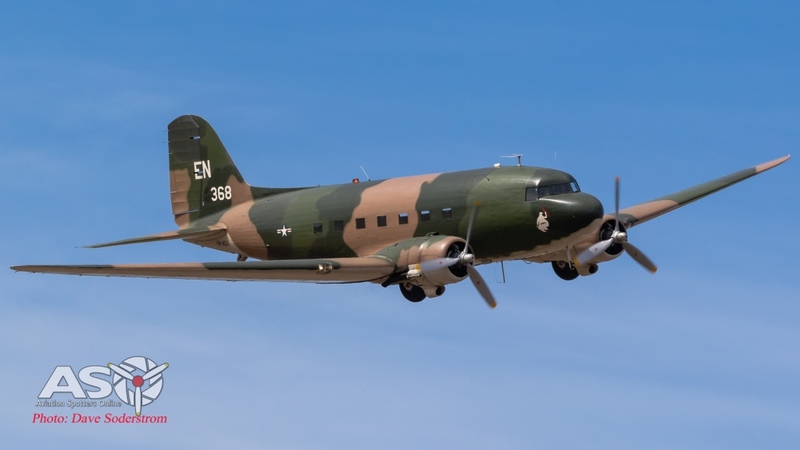 It was designed to replace the NAA T-6 and SNJ Texan in the USAF and US Navy. 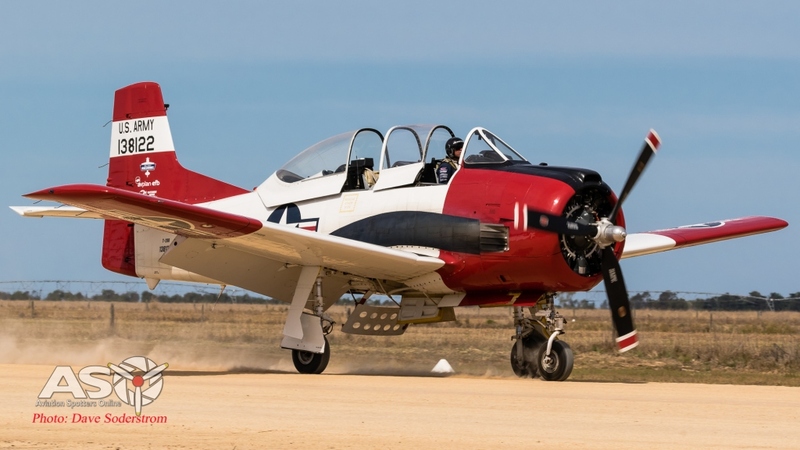 The early variants were (T-28A) powered by an 800hp Wright R-1300 in the hope to mimic performance of early jet aircraft with slow spool up time. 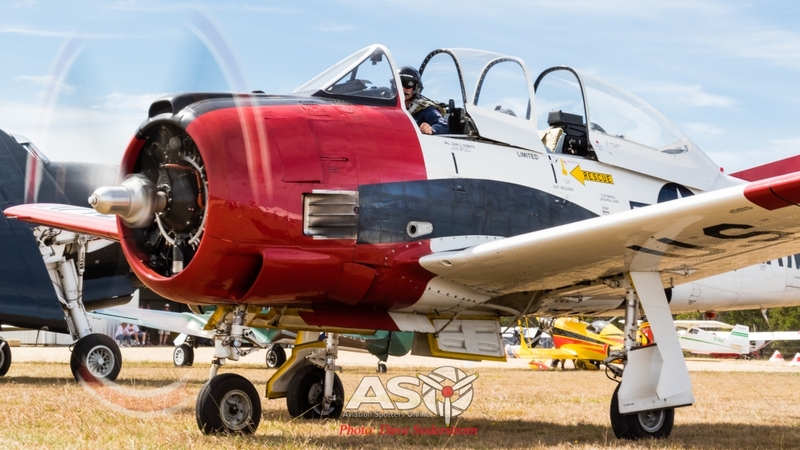 The T-28B introduced the 1,425hp Wright R.1820 power plant. 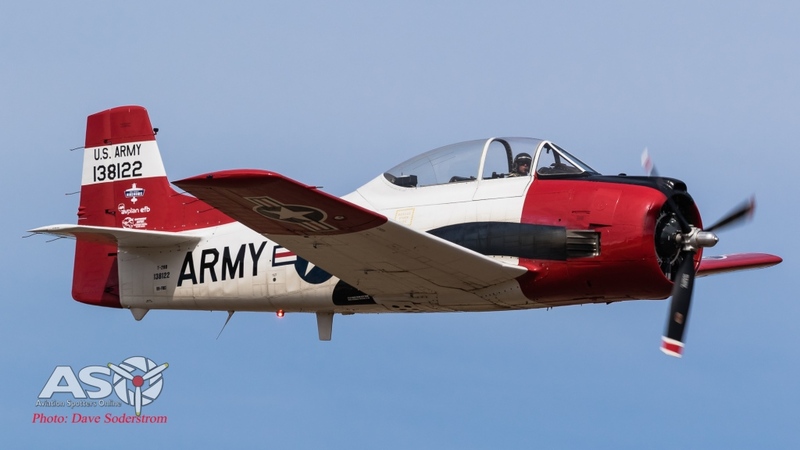 The T-28C was a dedicated carrier landing aircraft fitted with a tailhook. 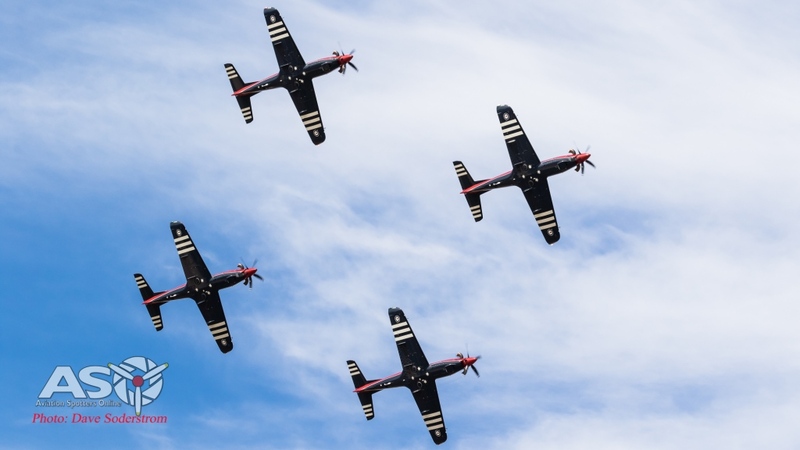 The T-28D was a dedicated counter insurgency aircraft fitted with six underwing hardpoints. 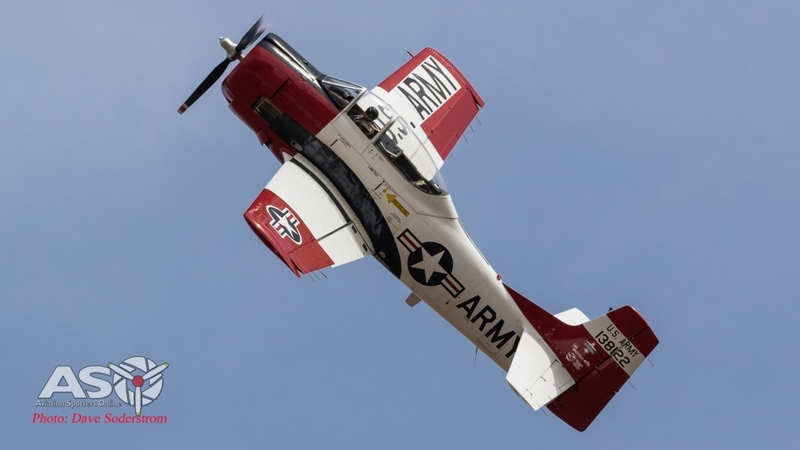 It was utilised by the USAF SOS units in Vietnam, with the Vietnamese Air Force and Royal Lao Air Force.The T28 was utilised by the US Navy, US Marines and also the US Coast Guard for training into the early 1980s. 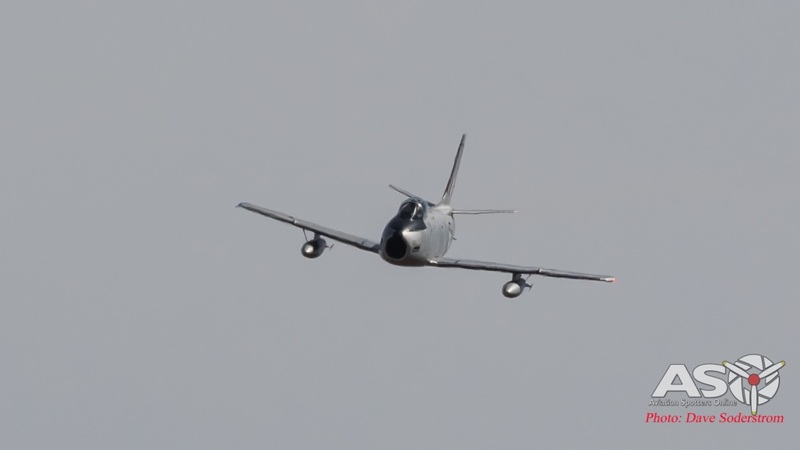 The last training flight by the US Navy was with VT-27 in early 1984. 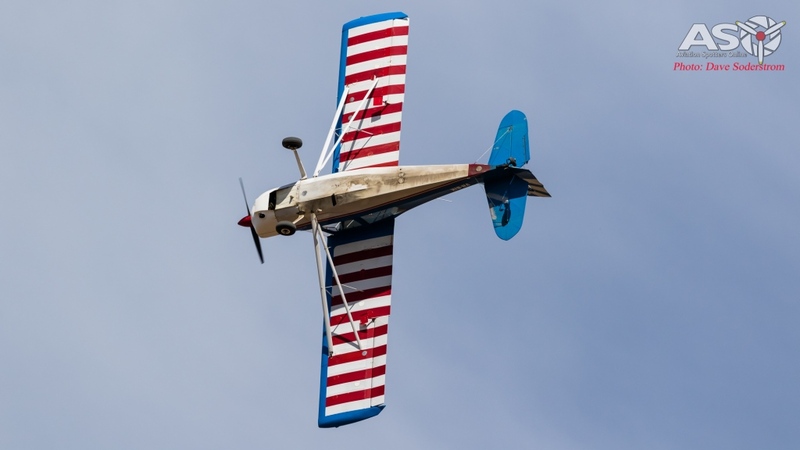 This aircraft was Curtis Pitts’ last design and was completed in 1995. 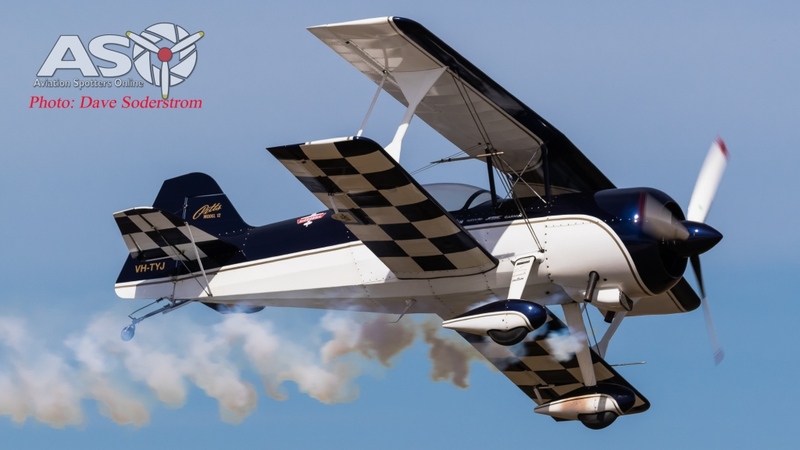 It is a great aircraft for aerobatics and touring, being to hold more luggage and better range than the conventional Pitts design. 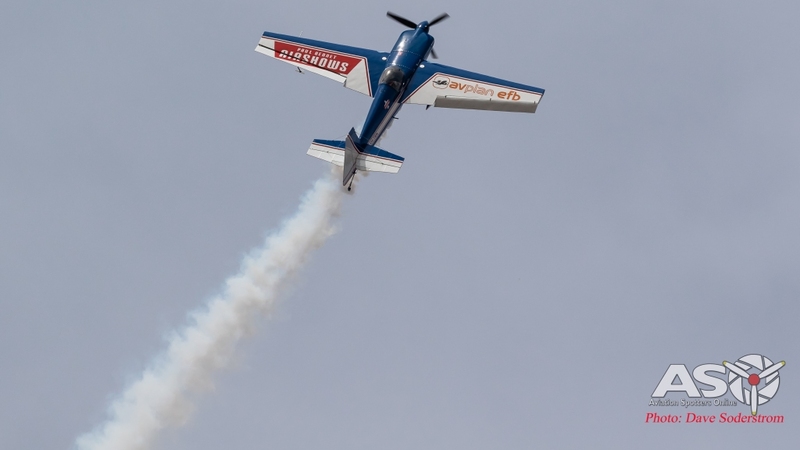 Tim Dugan took the Pitts up for its display, putting on a very impressive aerobatic performance. 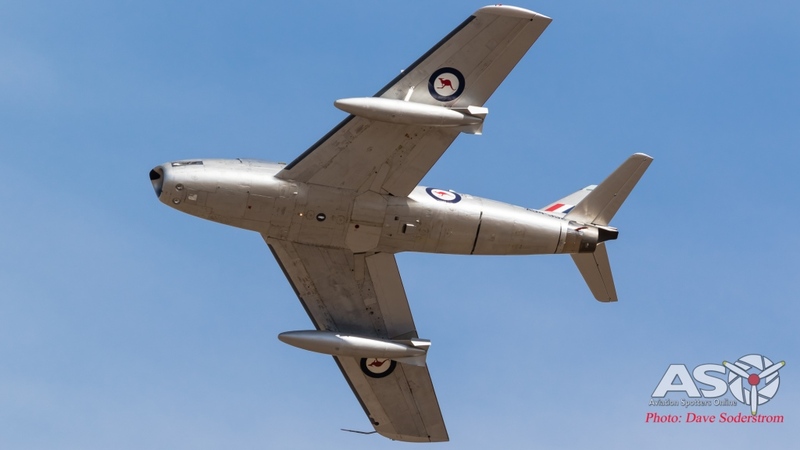 The Commonwealth Aircraft Corporation took the North American F-86F redesigned and built to suit the RAAF’s requirements. Powered by a licence-built version of the Rolls-Royce Avon R.A.7, rather than the General Electric J47. 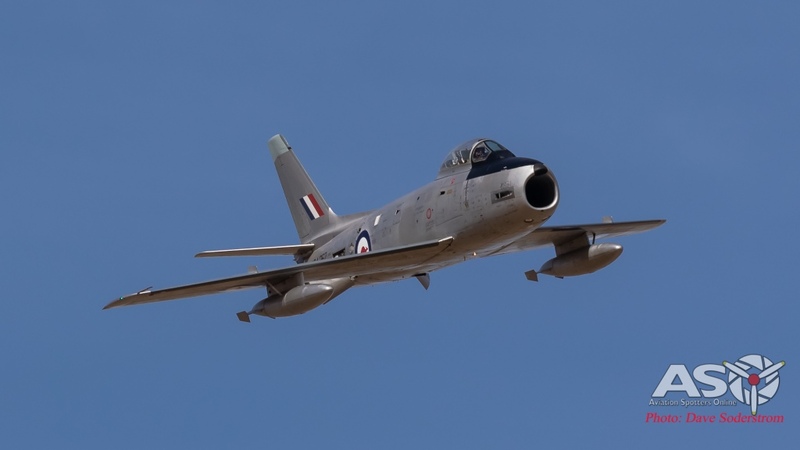 Because of the engine change the type is sometimes referred to as the Avon Sabre. To accommodate the Avon, over 60 percent of the fuselage was altered and there was a 25 percent increase in the size of the air intake. 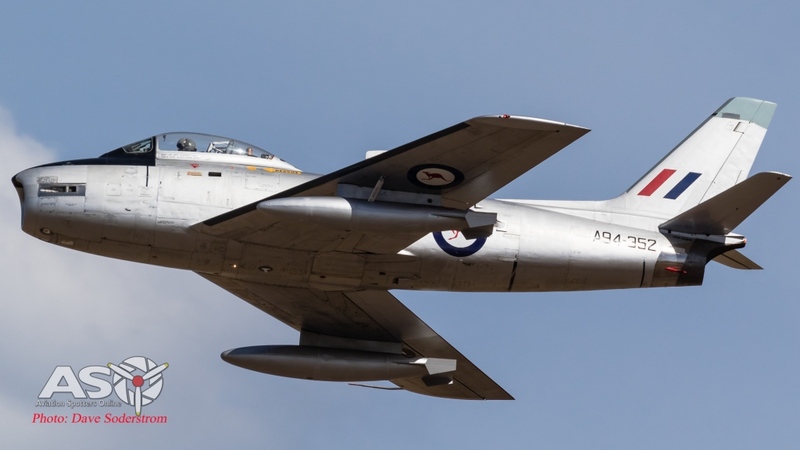 Another major revision was in replacing the F-86F’s six machine guns with two 30mm ADEN cannon, while other changes were also made to the cockpit and to provide an increased fuel capacity. 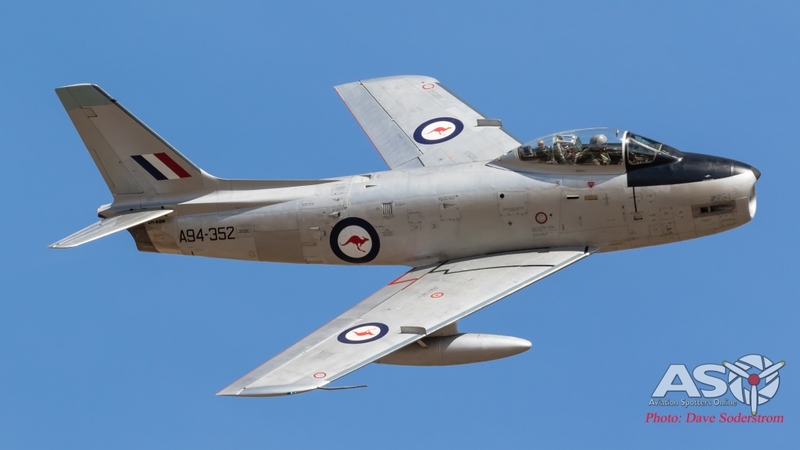 Flying at the airshow was Jeff Trappet’s and currently, Australia’s only flying Avon Sabre A94-352. 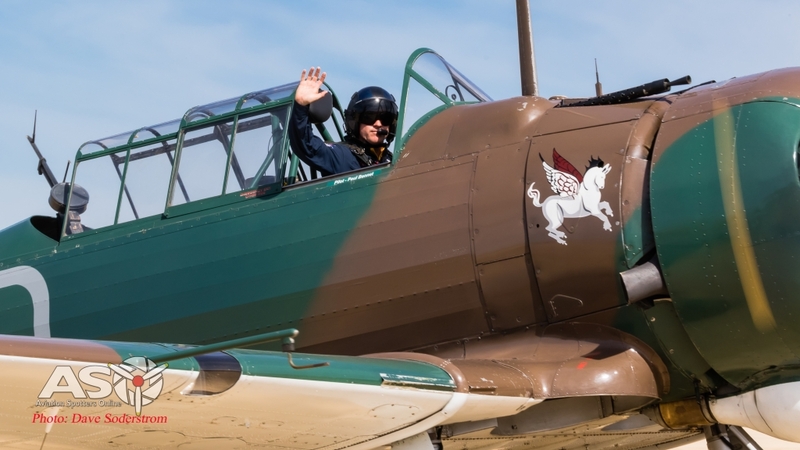 This particular airframe flew as part of the Black Diamonds Aerobatic Team (75 Squadron) the Black Panthers Aerobatic team (76 Squadron) and the Red Diamonds again part of (76 Squadron). After RAAF service it was allocated to the TNI-AU Indonesia. It crashed on take off at Denpasar Bali on its delivery to the Indonesian’s. 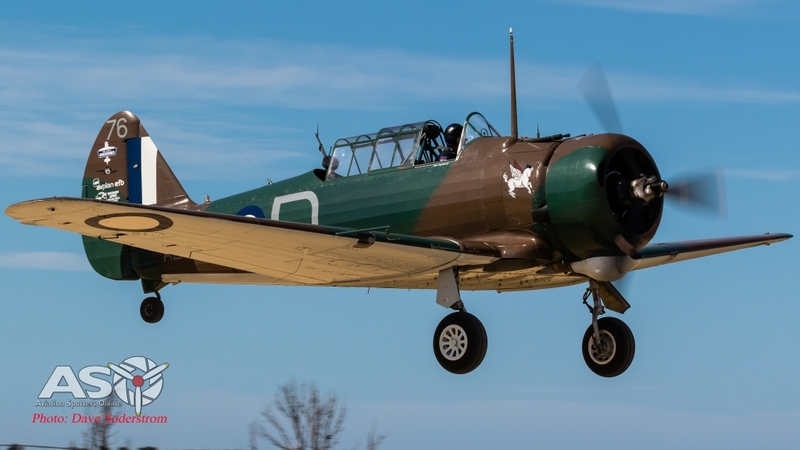 Jeff acquired the aircraft and flew following its restoration in 2013. 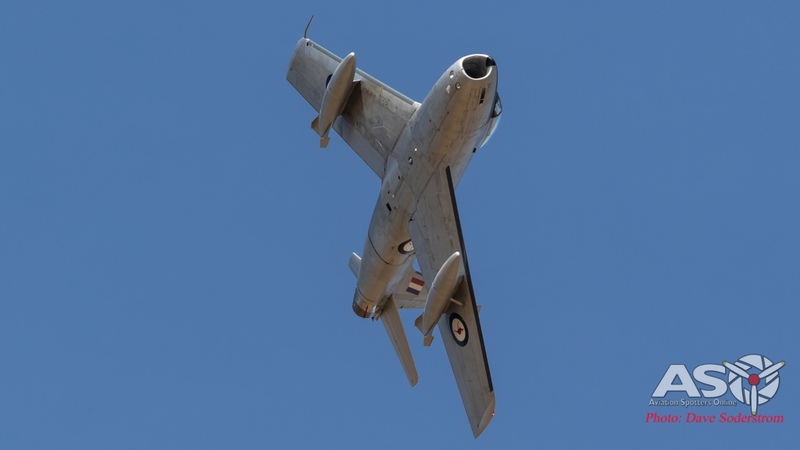 VH-JUC ex Royal Australian Air Force A68-105 Mk.21 painted as a 3 SQN RAAF KH677, The aircraft is owned by Judy Pay. Bernie Heuser put on a beautiful display and lets be honest we all sigh for a Merlin! 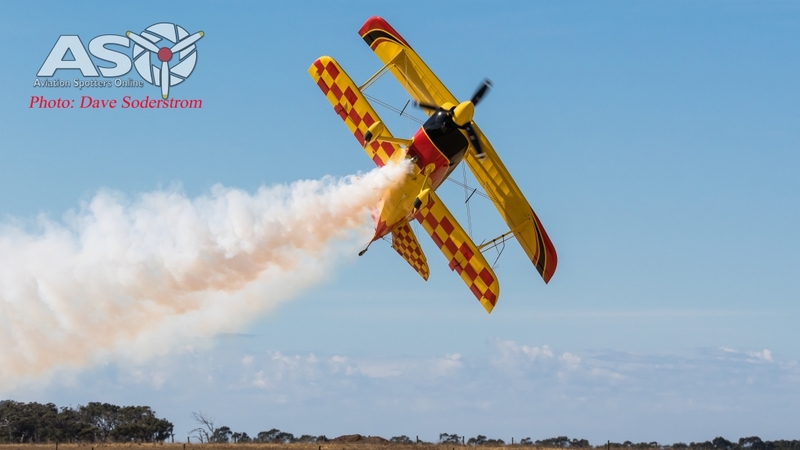 Again Mark and Dave would like to thank the Yarram Centenary of Flight Airshow team, Paul Bennet Airshows for their assistance and hosting of ASO at the event. This was a fantastic display and a well organised show, well done to the organisers and volunteers.